Gordon Hanson is the director of the Center on Pacific Economies and is a professor of economics at UC San Diego, where he holds faculty positions in the School of International Relations and Pacific Studies and the Department of Economics. Hanson is a research associate at the National Bureau of Economic Research and co-editor of the Journal of Development Economics. He is also a member of the Council on Foreign Relations and a senior research fellow at the Bureau for Research and Economic Analysis of Development. 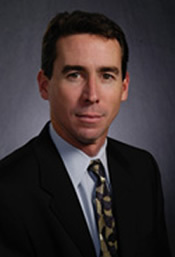 Prior to joining UCSD in 2001, he was on the economics faculty at the University of Michigan (1998-2001) and at the University of Texas (1992-1998). Professor Hanson’s current research examines the international migration of skilled labor, the economics of illegal immigration, the relationship between business cycles and global outsourcing, and international trade in motion pictures. In recent work, he has studied the impact of trade and immigration on wages, the origins of political opposition to immigration, and the implications of China's growth for the export performance of Mexico and other developing countries. His most recent book is Skilled Immigration Today: Problems, Prospects, and Policies (Oxford University Press, forthcoming), co-edited with Jagdish Bhagwati. Gordon Hanson joined CReAM as an external fellow in March 2009.